The landing spot for all things hockey! Greetings readers, welcome to Fantasy Hockey, What’s the Point Man? Honestly, what is the point man? The point man is the player who plays the point on the powerplay, near the blueline. They in many ways run the power play by acting as an outlet for forwards on the half walls, by setting up for seeing eye shots, and by being the last line of defense should the penalty kill counter. The point man could also be considered the player with the most goals and assists. Soldiers, politicians, and even entrepreneurs could play the part of a point man as well. But, What is the Point Man? The point is to dominate your foes at fantasy hockey to win cash and pain inflicting bragging rights. Here is where you can find the scoop to help you get to the top. As part of Hockeyland Canada’s season preview, each division will be examined one team at a time to identify players to pick and players to avoid. There are six categories of players covered and it’ll continue with the Pacific Division. Plenty of stud players for fantasy poolsters to familiarize themselves with, so lets keep it going with the Calgary Flames. 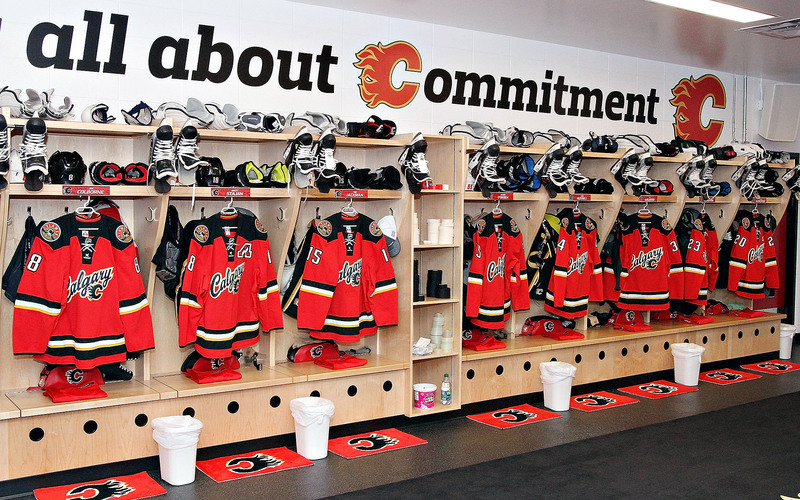 The Elite Suite – The Flames may be elite at bringing their lunch pails to work, as they have a workmanlike attitude and approach to the game. Unfortunately, the elite suite has yet to take down the vacancy sign since former captain Jarome Iginla left. With a few young studs in the fold with Sean Monahan, Sam Bennett, and Johnny Gaudreau, and a chance at Connor McDavid or Jack Eichel in next year’s draft, the Flames could find their elite suite to be busy before long. 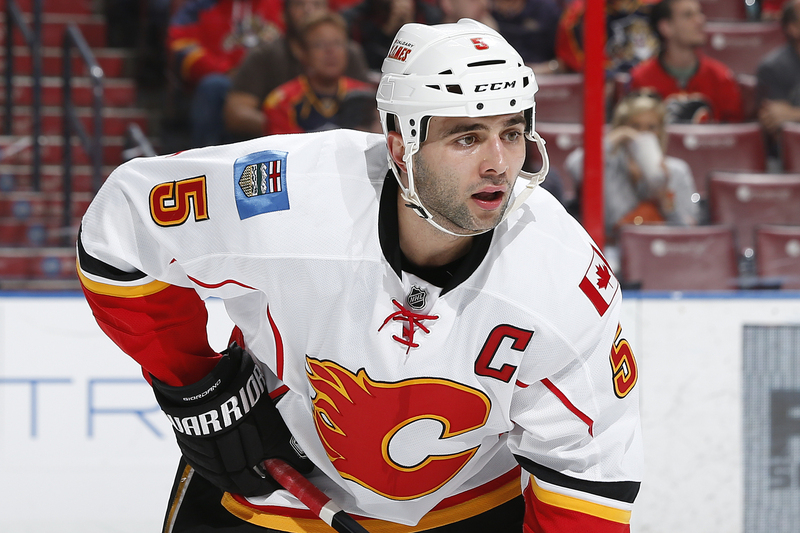 Dependable Joe – The Flames’ Captain Mark Giordano is who keeps the team afloat some nights, and is a contender for the Norris trophy, thats how good this undrafted D man has become. Its remarkable considering the long road he’s taken, but he’s even added an impressive offensive element to his game. Last year saw Giordano record 14 goals and 47 points in just 64 games, that on a team which struggled for offense. Us fantasy poolsters want to play it safe and bank on 45 points, but we see him reaching another career high in the not too distant future. Risky Plays – Against the odds, Jiri Hudler showed his Detroit days were no fluke, and tacked on a 54 point season with limited offensive support. 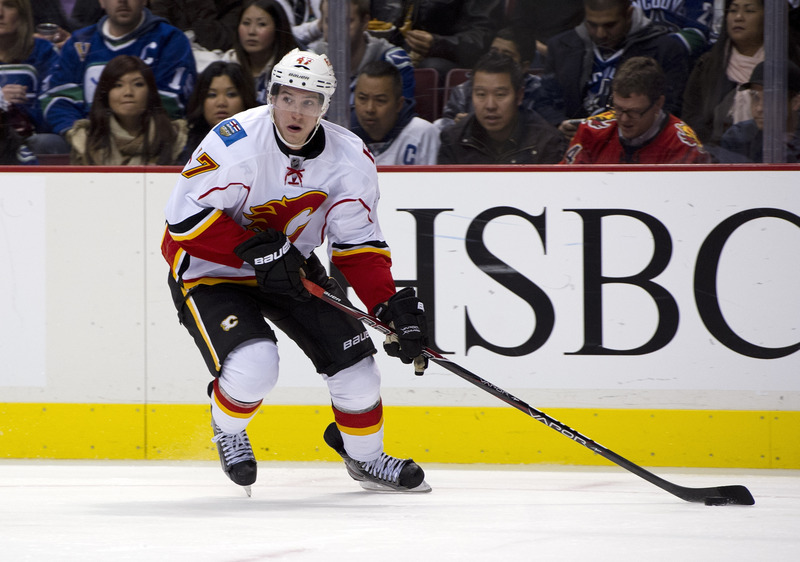 We think Hudler will be useful in fantasy, due to a similar heavy role, but don’t envision a rise in point totals as last year was the peak for this talented player. Jonas Hiller has been a fine goalie for the Ducks the past few seasons, and at one point was even considered one of the best. After a crowded crease in Anaheim saw Hiller on the bench, he moved to a Calgary team that will struggle to win games. He’ll be a starter but the numbers won’t be like you’re accustomed to in front of a top Ducks team. 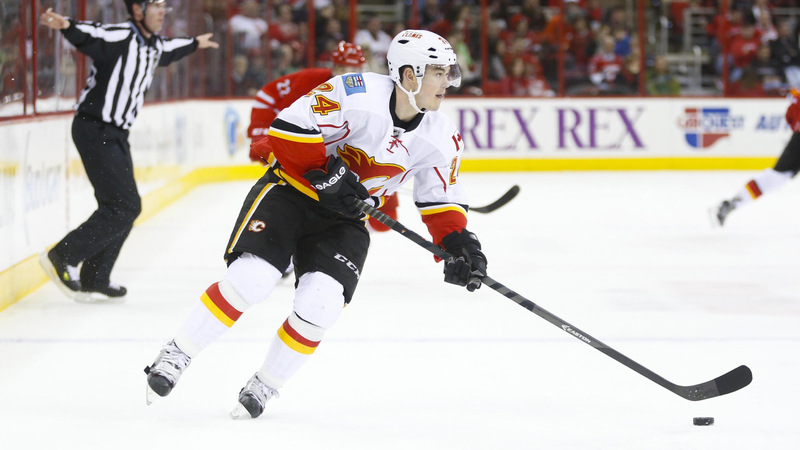 Sleeper Seeker – Sean Monahan turned heads as an 18 year old rookie who stepped right into the NHL after being drafted 6th overall in the 2013 Entry Draft. What stood out in particular was a nose for the net that resulted in 22 goals on 140 shots, with little help around him. He’ll be thrown into the fire so will outperform last year’s stats, just be ready to stomach a poor +/-. Flames fans have often gushed over T.J. Brodie and his PP quarterbacking abilities. While hype is getting the better of Calgarians, Brodie does have some serious skills from the back end. Now that he notched 31 points in his first full season, Brodie is ready to impose his will on the competition and turn his fantasy owners into top notch sleeper seekers. 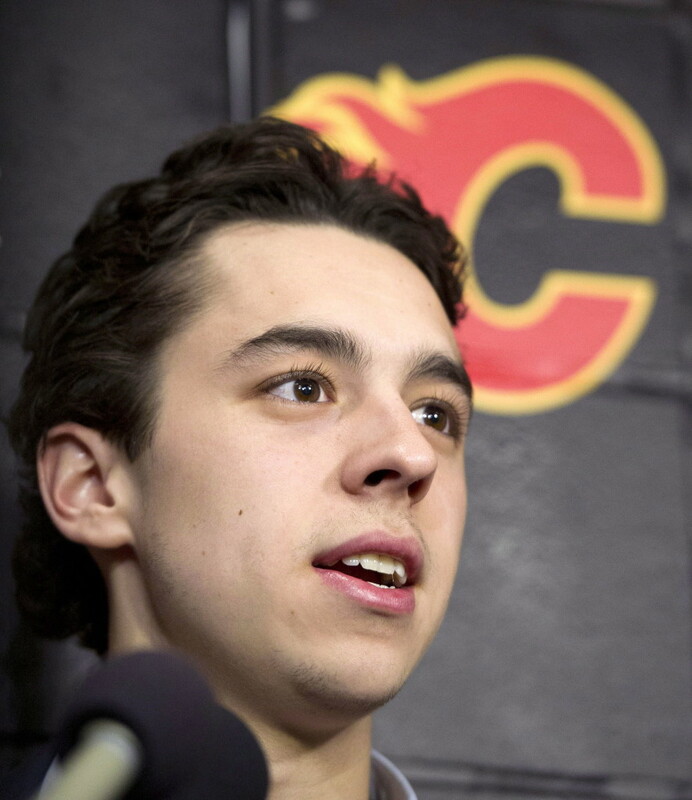 Rookies Ready to Break the Ice – Talk about gushing Flames’ fans, the hype in Calgary over the summer for Johnny Gaudreau has been downright silly. Its going to take time for any young player to adjust to the NHL game, but especially for the big punch in a small package Gaudreau. Evidenced by 80 points in 40 collegiate games last season, Gaudreau has moves that make hockey fans giggle and feel warm inside. 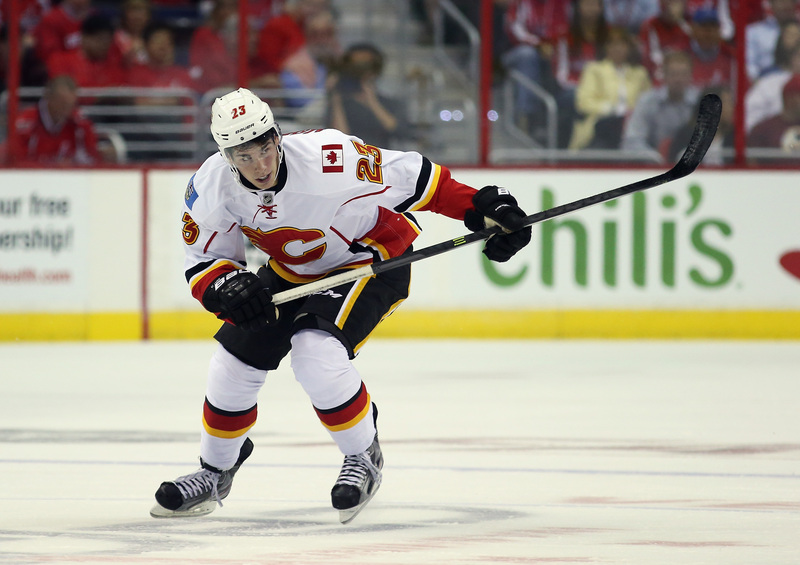 For hockey fans, we’re hoping Johnny Gaudreau brings the razzle dazzle in Calgary this season. Keep Eyes Peeled – Talk around camp had Samuel Bennett as a contender for a roster spot on opening night. Alas, the youngster was dealing with a shoulder injury all camp that will require him to miss the next few months of action, wherever it is. Its highly likely he returns to junior, but this is the type of player that the eyes should be kept peeled for. Once again demoted to the AHL, Sven Baertschi may be getting tired of waiting for an opportunity with the big club in Calgary. Fact remains though, Baertschi hasn’t yet torn the lid off of AHL competition to force the goal starved Flames to call this offensive whiz into action. If he ever gets to that next level and earns top 6 minutes, Baertschi will be worth a look in fantasy hockey.